Sheer poetry engulfed with beauty and perhaps is the only paradise visible to human eyes on the face of this earth. 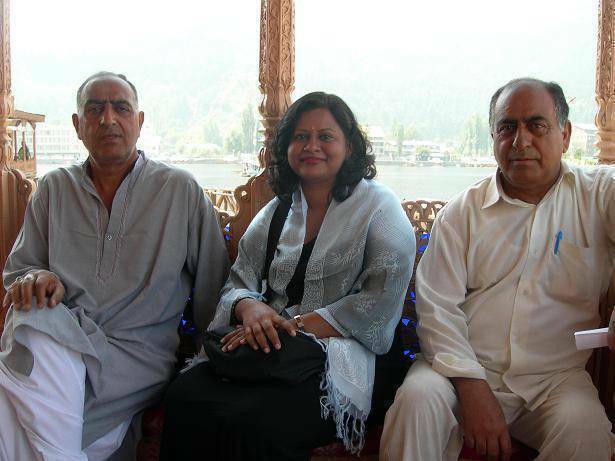 Kashmir is the most apt location to visit and witness an era gone before you. 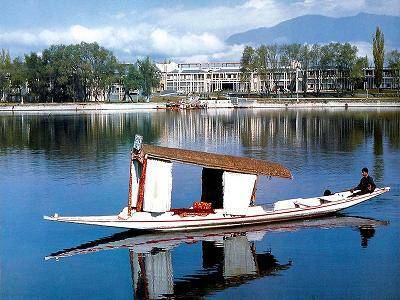 Floating luxurious Houseboats in Kashmir, beautiful premium houseboats in Srinagar, Specialty cuisine and the beauty of cobalt Kashmir Dal lake are forever ready to arrest you and make you proud that you are a part of this magnificent country India. 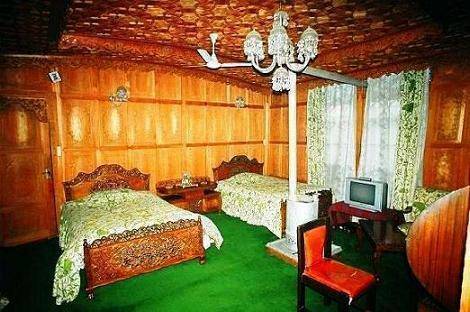 62 rooms well furnished with wall to wall carpet and special Kashmir carpets, separate dressing rooms and attached bathrooms fitted with modern amenities. 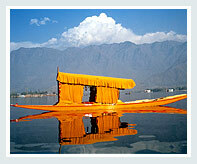 KOLU HOUSEBOATS - DELUXE ROOMS: For a heritage living experience, check-in into one of our Deluxe Rooms. Spacious and elegantly furnished, the rooms are equipped with facilities of International standards. 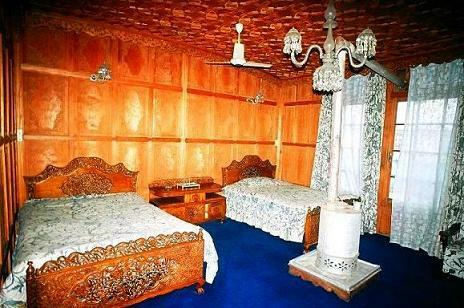 Luxuriant rooms tastefully decorated with walnut wood furnishing & Rooms available in double / twin beds. 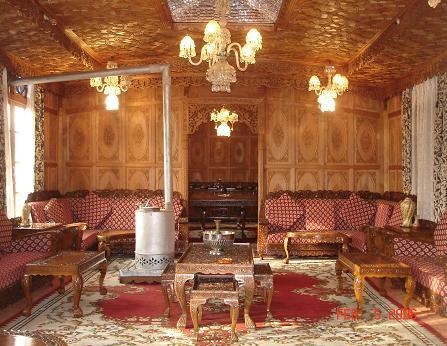 KOLU HOUSEBOATS - PREMIUM ROOMS: Cosy décor and an inviting aroma set the perfect mood to experience the special moments. Exquisitely crafted and luxuriously done up, Rooms have a king-size bed or two full beds, a plush sitting area with sofa and chairs along-with separate dressing room, a bathroom with sunken bathing tub and a separate shower area make for a perfect place to unwind and relax. KOLU HOUSEBOATS - RUBY SUITE: Larger and more opulent than other category of rooms, the Ruby Suite has its own individual character through unique red color interiors. The Ruby Suite has an elegant bedroom with flat screen television and large bathroom with shower area plus a Jacuzzi for greater appeal. The suite magnificently maintained provides all the luxuries and privacy that you wish for to begin your precious journey.